True Blood, that campy vampire HBO series based on the Sookie Stackhouse novels by Charlaine Harris set in fictional Bon Temps, Louisiana, came to an end last night, Sunday, August 24th, with Season 7 Episode 10 finale “Thank You.” The series revolves around telepath Sookie Stackhouse (Anna Paquin) and her supernatural (and non) lovers, relatives, and friends. No good vampire/werewolf/fairy/shapeshifter/medium/witch show would be complete without a formidable foe (or foes) for the plucky heroes and heroines to stand against. Some were silly, some were horrifying, some were lunatics, some were the heroes and heroines themselves, and some deserved their own late night Cinemax show, but they all had the common thread of being thoroughly entertaining. Sookie and her posse always prevailed (with some casualties). But, it’s all come to an end now, so it’s time to take a look back at the Villains from each season. 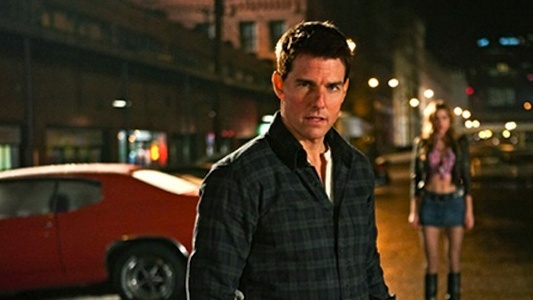 The first trailer for Christopher McQuarrie’s Jack Reacher has debuted online. In the film Tom Cruise seems to be taking on the same persona that Ryan Gosling played in Drive. Whether or not you like Cruise as the titular character, I am sure the brutality in his violence should be enough to convince you that Jack Reacher is at least worth a look. Ads and banners tend to fly and flap in the winds or cover various walls during all kinds of film festivals. Some confirm that a movie is inevitably coming and others confirm that a title has change. This recently happened with director Christopher McQuarrie‘s new Tom Cruise action/thriller from One Shot, which will now be known as Jack Reacher. McQuarrie’s adaptation is an adaptation of Lee Child‘s novel One Shot, and is actually the ninth book in a series of novels that involve the Reacher character. The series follows Reacher, a former Army MP, who gets caught up in one dangerous situation after the next.